Featuring: Rita Marley, Ziggy Marley, Bunny Wailer, Cedella Marley, Cindy Breakspeare, Lee Perry. This is how you capture the life and legacy of a man film! A sprawling musical-documentary epic, Marley makes the rare feat of depicting the life of an artist from birth to death, all the while offering a comprehensive report on the singer and the impact of his work. Sure to please devoted fans of the reggae superstar as well as viewers (like me) with little knowledge of the man save for the anecdotes that accompany his songs on the radio, Marley is a great film. Marley begins with a long aerial shot of the Jamaica’s St. Ann parish. The lush, rambling landscape takes us to the small mountainside village of Nine Mile where Bob Marley was born. As his mother explains to the camera, Bob was conceived when a sixty-year old man from the British army took an interest in a young Jamaican girl. The father, Norval Marley, was a strange, elusive man and he abandoned the mother and child shortly thereafter. It’s this mixed parentage, though, that helped develop the passion and insight that marked much of Bob Marley’s music. Bob’s mother and several of his childhood friends and later collaborators tell of Bob’s struggle to fit in amidst the racial tensions simmering in Jamaica. A half-black, half-white child, Bob was seen as a ‘half-caste’, or as an outsider who wasn’t really accepted from either party. As an outsider to much of the politics and currents in Jamaica, then, Marley developed a strong sense of introspection that came in handy later on. Marley’s mother, unwilling to let her son be burdened by a lack of opportunity, soon moved the family to Kingston. It was there, living in the slums of Trench Town that Bob Marley decided to turn to music when so many of his neighbours turned to crime and/or violence to escape a bad situation. 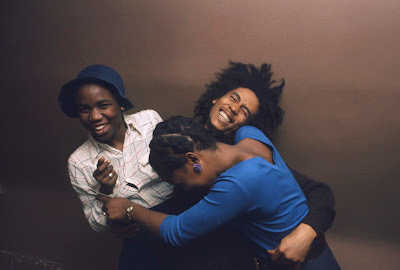 As an outsider living among outsiders, Marley and his friends used music to give Trench Town a unique voice. In its brief, but hardly abbreviated summation of Marley’s beginnings, Marley outlines clearly the world from which the man and the music emerged. Almost like a sociological exploration of music – it’s much like a great episode of HBO’s Treme – Marley takes the viewer through a thorough, harmonious odyssey of the philosophy that filled Marley’s work. Director Kevin Macdonald (The Last King of Scotland) offers numerous interviews with many of Marley’s fellow musicians, including members of his band The Wailers, and his peers proudly explain how Marley pioneered something new with his music by collaborating and finding a distinct style that spoke to an audience while offering a poetic outlet for Jamaica. 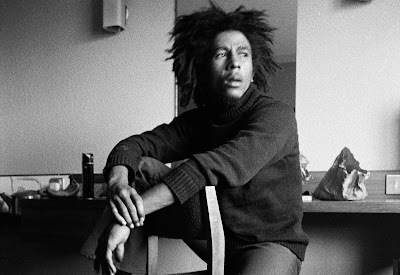 Although much of the film offers nostalgic and affectionate remembrances from Marley’s musical family, it also uses their stories to portray a restless, conflicted man who struggled with numerous personal crises. Marley’s peers explain how the musician discovered himself through the Rastafarian movement, which also helped iconize Marley through images of the reggae superstar smoking a giant roll of ganja. The film gives valuable insight into Marley’s devotion to Rastafarianism, and it explains how his faith infused itself into the mellow serenity of his songs. Especially with its in-depth explanation of the Rasta philosophy does Marley beautifully connect Marley’s music back to its worldly implications: the film opens with a brief tour of a slave prison in Africa, which the camera exits through the fated “Door of No Return” before the film cuts to the aforementioned aerial shot of Jamaica. With this opening frame, the ensuing narrative is very much a story of emancipation – namely, how Bob Marley found himself by immersing himself in music, which in turn inspired peace and a cultural revolution with how greatly it resonated with fans around the world. 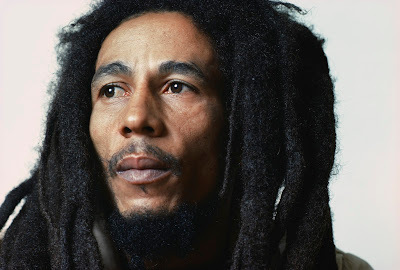 The film includes some archival footage of Marley himself both in performances and in interviews, so the film grants the musician some authority even those most of the speaking is done by his close friends and family. Marley is actually so well assembled that the reggae-man feels tangibly present. The film offers an exhaustive array of photographs and found footage – it’s hard to imagine that any image of the star fails to appear in the film. Every fact, song, and photo is meticulously collated in a beautiful montage of records and recollections. Although Marley clocks in at whopping 144 minutes, not a moment feels misused or wasted. Thanks to Macdonald’s commendable efforts and the impressive range of research on display, all of which are preserved in a laudable editing job by Dan Glendenning, Marley seemingly accounts for every notable detail of the musician’s legacy. Marley is an absorbing and definitive study of the power of music. Marley plays in Ottawa at The Bytowne through May 23 . *Photos courtesy of eOne Films. NFB wins two Webby Awards!